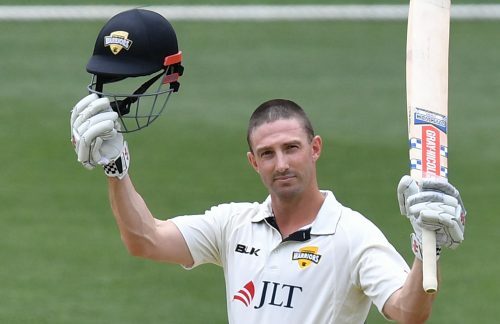 Shaun Marsh’s unbeaten 163 has delivered Western Australia a five-wicket victory against South Australia in their JLT Sheffield Shield match. Chasing 313 to win, the Warriors reached the target for the loss of five wickets, about 20 minutes before tea on the final day at Adelaide Oval. Marsh was superb in a perfect tune-up for the Test series against India starting on December 6, combining with Will Bosisto (58) for the match-winning partnership. Marsh and Bosisto put on 164 runs for the fifth wicket to secure WA’s second Shield win this season, leaving the Redbacks with three draws and a loss.